Sebastian Gendry is a change-maker, coach and consultant with a passion for laughter who played a major role in introducing Laughter Therapy in North America, Russia, and other countries. He has been traveling every year to 3-6 continents since 2008 offering a variety of speaking and Laughter Wellness events, the method he created. A social entrepreneur at heart, he has directly inspired the creation of 100s of Laughter Clubs worldwide. He is a repeat TEDx speaker and has appeared in 100+ newspapers and magazines as well as major TV shows in North America, Australia and India. This includes the Oprah Winfrey Show, 60 minutes and ABC Good Morning America. Over 118,000 visitors / month (Google audit, February 2019). We offer beginner to advanced online trainings, continuing education and professional resources on therapeutic laughter, laughter wellness, laughter yoga. Do you offer Humor Therapy training? We do use and work with humor a lot, but what we teach is particular in that it’s not about finding things that people find funny, but rather how to experience fun and celebrate the joyful best of humanity and what brings us together. As such what we do is universal because it’s about making laughing a choice rather than the response to an external stimuli. If humor is your particular field of interest I invite you to check out http://www.humorstudies.org/ if you are in Europe and/or https://www.aath.org/ as both these organizations have done a remarkable job in their field. Are there contraindications to laughing? We have answered this question at http://www.laughteronlineuniversity.com/laughter-contra-indications. Are there minimum health requirements to attend an in-person training? You have read and fully understand that Laughter Wellness exercises are equivalent to any other aerobic exercise and therefore accept full responsibility for your physical fitness and declare that you are able to participate in this event. You release the facilitators/teachers/instructors from any liability, should there be any accidental injuries that may occur during the laughter yoga exercises. You have consulted your physician and are able to participate in your chosen event. You further declare that you are not suffering from any of the following conditions: uncontrolled high blood pressure, heart disease, epilepsy, any kind of hernia, severe backache or major psychiatric disorder. We are enforcing the following waiver because of our sincere concern for your best health and safety. It is our hope that it will help you make an informed decision as to if and how you should proceed with the exercises presented to you in our products, trainings and services. Although voluntary laughter exercises have proven to be safe in most instances, individuals with physical or psychological medical histories should definitely consult the appropriate medical health professional for specific guidance prior to using these or any exercise routine. I understand that the facilitators are not medical health providers and the individual instruction they are offering is not to obtain information about my personal physical or emotional health. This individual instruction is to obtain educational information on skills to implement simulated laughter exercises and not for providing personal health advice. I understand that the facilitators are not treating any physical or emotional condition that I may have. I am totally responsible if I choose to implement any techniques that I learn from the facilitators and realize I need not accept any educational information that the facilitators present in this laughter session planner. I recognize that it is my personal responsibility to consult my physician before implementing any techniques that the facilitators discuss in their individual instruction. If the information presented in any of the courses offered by facilitators is used without consultation and approval of a physician, the individual will be diagnosing for him or herself. No responsibility is assumed therefore by the facilitators for the use of the information contained in these courses in lieu of a doctor’s services. Some of the techniques discussed in the instruction may be dangerous when improperly used. I accept that it is my full responsibility if I attempt to self-treat based on information in these instructions. The information presented in all the courses offered through the facilitators are not intended to diagnose, treat, cure or prevent any disease. Are your trainings endorsed by any known international yoga institute? No, but then to our knowledge no Laughter Therapy training in the world, whatever the tradition, is currently endorsed by any known international yoga institute. Are all your diplomas internationally recognized? Yes, our diplomas are recognized internationally, however please check your own country and state requirements for full details specific to you and your area. All around the world people will know that you trained with a leading expert in the field and this will reflect positively on you. Are your trainings tax deductible? Money spent on continuing education, when taken to maintain and improve professional skills, is tax deductible. There are also other business circumstances that may make such expenses tax deductible. Please contact your accountant for details. Can I use the training to help myself? A good education as a laughter teacher begins with understanding yourself and using strategies to improve your own life and circumstances. When you are courageous enough to work on yourself, you gain the experience and “muscle” to help others in a more effective and heartfelt way. Most of our students experience significant personal growth during the first several months, and then learn how to use that personal change to help others. Do I need special insurances to be a teacher of laughter? In general: This will depend on your country, state, and the types of people you help. Please check the specific guidelines and requirements for you and your area. In particular: If you have checked and you are not covered by anybody else’s general liability policy, then it is a good idea to get your own for peace of mind. You may want to review your existing insurance policies and/or ask your insurance broker for advice. You may not need a new plan. For insurance purposes Laughter Wellness professionals are akin to fitness or yoga professionals. The cost of public liability insurance in the USA varies between $125 and $300 per year. Popular insurance companies include www.phly.com, www.alternativebalance.net, www.sportsfitness.com, IDEA Health & Fitness Association and Yoga Journal. Do you offer a training that entitles me to run my own Laughter club? Let’s be clear on this one: There are no legal requirements to run a laughter club or offering your own laughter programs if you feel you are ready for that. All laughter education does (ours and everybody else’s) is (1) help you learn much faster the art and science of laughter therapy and avoid time-consuming and costly mistakes and (2) give you access to an established brand name and material. It does come with an upfront price, but saves you lost of time, headaches and therefore money in the end. Do you offer Continuing Education Credits (CNEs, CMEs)? We do not offer continuing education credits at this point in time but this is something we are working on so stay tuned. In the meantime we are happy to provide all the needed documentation for you to apply yourself with your state professional board. 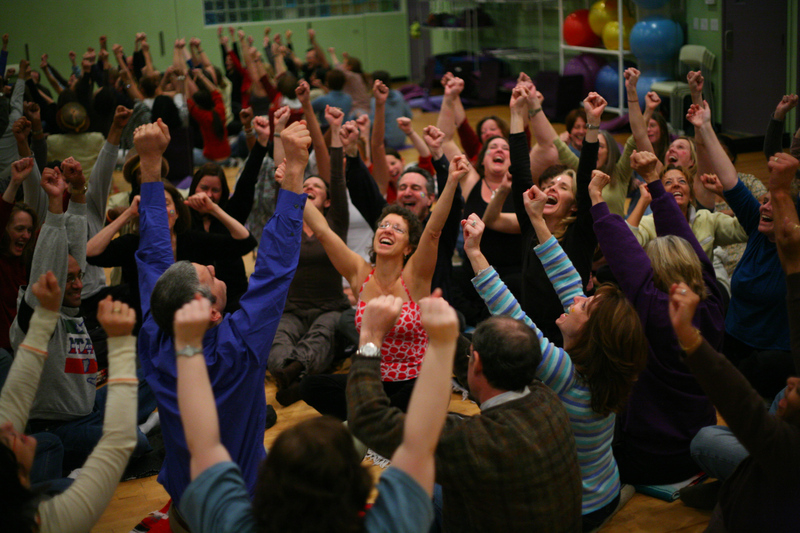 How does the Laughter Wellness method expand and enrich Laughter Yoga? An exercise regime that has become a world brand. A complete wellness and well-being workout that is often white labelled. Follows the Laughter Yoga protocol in which the strongest emphasis is on playful laughter exercises. Follows the Laughter Wellness protocol that incorporates a series of cognitive-behavioral therapies to arouse smiling, laughter, pleasant feelings and positive energies. Built and primarily focused on voluntary, simulated laughter. Leans on having participants doing everything big and loud. Tends to be high energy and on the joyfully crazy/silly side of life. A recent trend has been to blend it with mindfulness breathing techniques. (…which Laughter Wellness has been advocating and encouraging people to use for over a decade.) Builds on intentional laughter and the mindset that comes with it, and focused on mindfulness and wellness/well-being. Leans on doing everything gently and allowing people to participate at their chosen level of comfort. Tends to have a slower pace, include a great variety of exercises and activities, and be more grounded and mainstream. See Sebastian Gendry’s youtube channel. Is about having fun. Advocates childlike playfulness. Is about arousing smiling, laughter, pleasant feelings and positive energies. Advocates developing a healthy and sustainable adult relationship with our inner child. Promotes health, joy and community with a strong emphasis on happiness and World peace through laughter. Promotes health, joy and community with a strong emphasis on peace of mind and an inner locus of control. Very popular in the world of community laughter clubs. A source of inspiration and ideas for laughter, healing, service and education professionals. Is this a lifetime certification? If not, what are the renewal criteria? We offer lifetime certifications, but only endorse and support Laughter Wellness Professionals who are committed to their professional growth and keep their knowledge up-to-date. This can be done by attending an annual laughter conference (e.g. the All America Laughter Conference) or maintaining an active membership with the Laughter Online University. 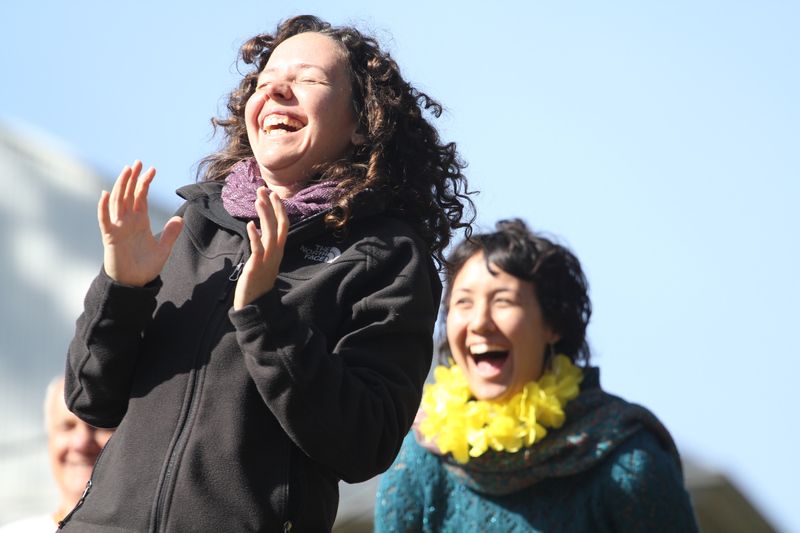 We love Laughter Yoga and played a major role ourselves in helping it reach a global audience, but no that’s not what we teach and therefore we do not offer Laughter Yoga Leader or Teacher certifications. See us more as the logical next step. Laughter Wellness incorporates everything Laughter Yoga teaches and more, but within a much wider framework and following a different protocol that we’ve found is better adapted to Western audiences. Should you ask participants to sign a non-disclaimer form each time you laugh together? Ignore everything the fear-mongers have to say: In the end it’s only up to you. If you resonate with the idea and it makes you feel more comfortable, then the answer is absolutely yes (You can download a template disclaimer form here (In microsoft .doc format: http://lou.pm/ddoc). This form is offered as a service only and has not been reviewed by a lawyer. I do not guarantee its legal validity.) They have value as a form of prevention, in that they reinforce the message that people are responsible for their own health. From a legal viewpoint, however, they offer no real protection. In the USA a non-disclaimer form must be read out loud and signed in front of a witness to be valid in Court, and even that is not a guarantee you will win a lawsuit. Just for the record, several laughter practitioners and Community Laughter Clubs have been taken to court over the years in various countries around the world, but none for health reasons so far. The consistent complaint is noise disturbance, and the request of the attacking party is to “stop the cacophony.” Read a typical example here. What will I be able to call myself once I complete the training? We recommend you use the title associated with your training level. Claim it with pride. It has value. Where can I experience a group Laughter Wellness session? There is a listing of community Laughter Clubs here. We also encourage you to look at How to Kick-Start Your Laughter And Keep It Going. Where can I buy public liability insurance to teach Laughter Wellness? If you have checked and you are not covered by anybody else’s general liability policy, then it is a good idea to get your own for peace of mind. Always give ample of consideration to safe practice if you choose to go without! You may also want to review your existing insurance policies and/or ask your insurance broker for advice. You may not need a new plan. For insurance purposes Laughter Wellness Teachers are akin to fitness or yoga professionals. “We offer a general liability policy that includes coverage for Professional Liability and Sexual Abuse and Molestation, so the coverage is much broader than a simple general liability policy. This is a specialized policy developed for yoga and fitness professionals. You may want to check the exact requirements of your chosen insurance. Call them. In case there is ever a claim the last thing you want is to find out that your insurance is invalid. Where can you get insured? The cost of public liability insurance in the USA varies between $125 and $300 per year. Here are options you may want to investigate that we know of, from cheaper to more expensive (the more you pay, the more you get). It is worth asking your local neighborhood centers if you can be covered under their insurance. They may or may not decide to charge you. Please let us know if you know more providers, in these or other countries! Will I need a state license to practice? In general: This will depend on your country and state, the types of people you help and who is paying you. Please check the specific guidelines and requirements for you and your area. In America: There are currently no regulations on Laughter Wellness teachers, or any other types of Laughter Professionals for that matter. 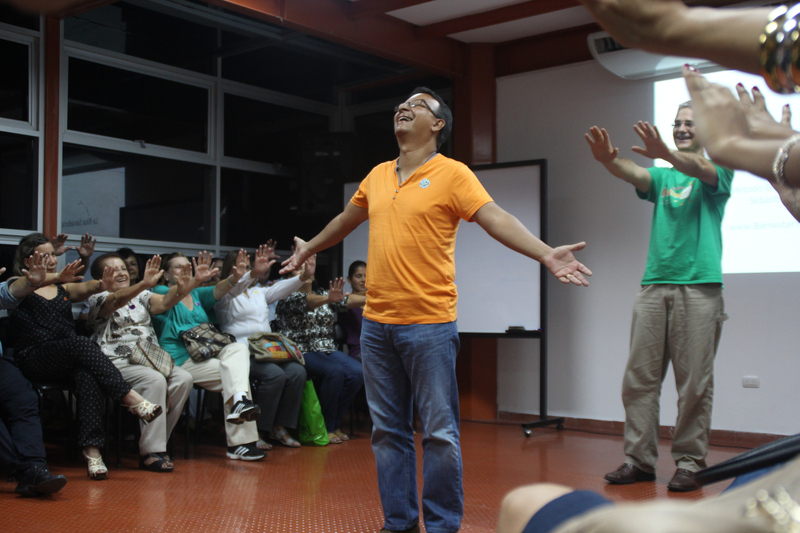 You do not need to be certified, registered, or licensed in order to offer laughter programs. This means that unless required by an establishment (e.g., gym or health club) instructors are not required to hold any certification in order to work as an instructor. In fact, some of the most experienced and well-known teachers have never been certified, registered, or licensed. That is because “Laughter Therapy” is a relatively recent concept, especially in regards to teaching it. Will your trainings help me pursue further study in professional laughter therapy? 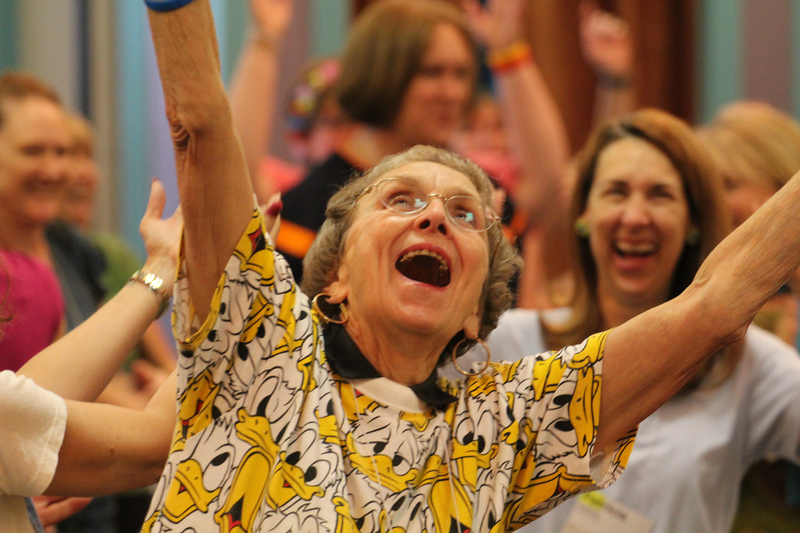 The world of Laughter Therapy is young and has currently no recognized set standards. Each school offers its own path. You will find the education we offer to be very comprehensive, yet studying with us (or anybody else for that matter) is no guarantee that other schools will accept your diploma for further advanced studies with them. Please check with them directly.